When Margaret Kolodziejczyk adopted Conrad — a Labrador German Shepherd mix — eight years ago, she never suspected he’d inspire her to start her own business. 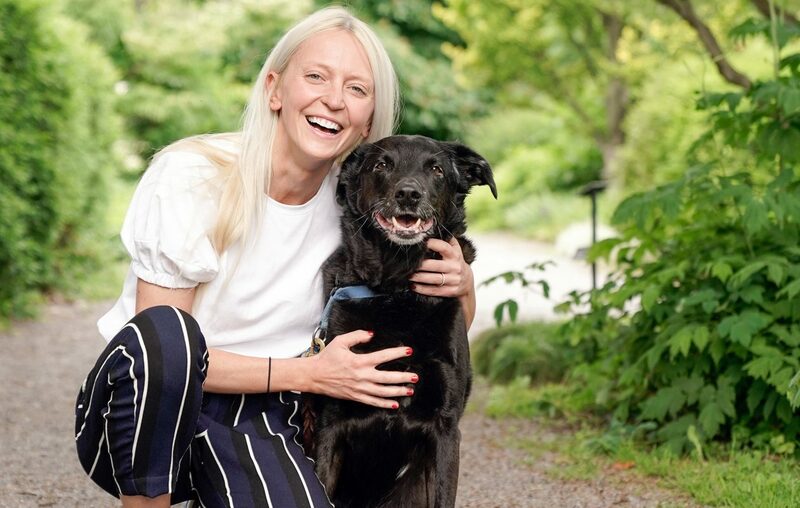 Kolodziejczyk said she has always been careful about her own health and nutrition, but had no idea the impact diet could have on her four-legged friend until she began to do some research. Kolodziejczyk soon found she enjoyed experimenting with fresh foods. “It quickly went from being a hobby to a passion,” she said. She launched Hound Fresh in 2016. Among its ingredients are chicken, kale, sweet potatoes, zucchini and apples. Everything is cooked and packaged in a shared kitchen on West Ferry Street in Buffalo. It costs more than commercial dog food, but Kolodziejczyk said you get what you pay for — pet food manufacturers use much less stringent standards for ingredients. “Unless it says human grade, you are probably feeding your dog lungs, intestines, beaks, all of the undesirable parts,” she said. Julia Roberto-Murray has been feeding her four dogs a Hound Fresh diet for the last year. Roberto-Murray said even her pickiest dog loved the food, and she has been hooked ever since. “Their coats are fabulous and they are in the best health they have ever been in,” she said.